One of the hardest parts of starting the keto diet is figuring out what are the best keto foods. But fear not – not only are foods on the keto diet delicious, but it’s a well-known fact that they also help keep you full (increase your satiety). If you’ve just started your keto journey and you have no idea what to eat on the keto diet, read on. Our keto diet food list will help you to understand what to eat to get in ketosis (and what to steer clear of). But what makes a good keto food? The best keto foods have few carbs, if any at all. They’re also moderate in protein and high in fat. So what really is the best food for keto? When it comes to your protein, which you should be consuming at moderate levels, try sticking to organic and grass-fed meats, as these minimize steroid hormone and bacteria intake. If eating poultry, the darker meat is better, as it’s fattier compared to the leaner white meat. Eggs are also an excellent source of protein for keto, as are a number of cheeses. Also, not only is fatty fish an excellent source of protein for the ketogenic diet, it will also provide you with a ton of healthy omega 3’s as well. Steaks are also a great source of protein for keto, and the fattier the cut the better, so ribeye and sirloin steaks are ideal. Beef – ribs, ground beef, steaks and more! Pork – pork chops, ground pork, it’s all good. As your fats and oils make up at least 65% of your macros on the ketogenic diet, it’s important to look at the quality of the fats you’re consuming. Fats and oils to add to your keto shopping list include most fats that come from natural sources, such as meat, nuts and avocados. Saturated and monounsaturated fats such as grass-fed butter, olive oil, and coconut oil will also be come important staples for your keto diet. Be aware of polyunsaturated fats, as it’s important to recognize the difference between naturally occurring ones and processed ones. Natural polyunsaturated fats, which are found in fatty fish and animal protein, are healthy while processed polyunsaturated fats, which are found in foods like margarines, are unhealthy. Avoid trans fats at all costs. These processed and chemically altered fats have been linked to heart disease and high cholesterol. Starting the keto diet doesn’t mean you have to say goodbye to fruit forever. 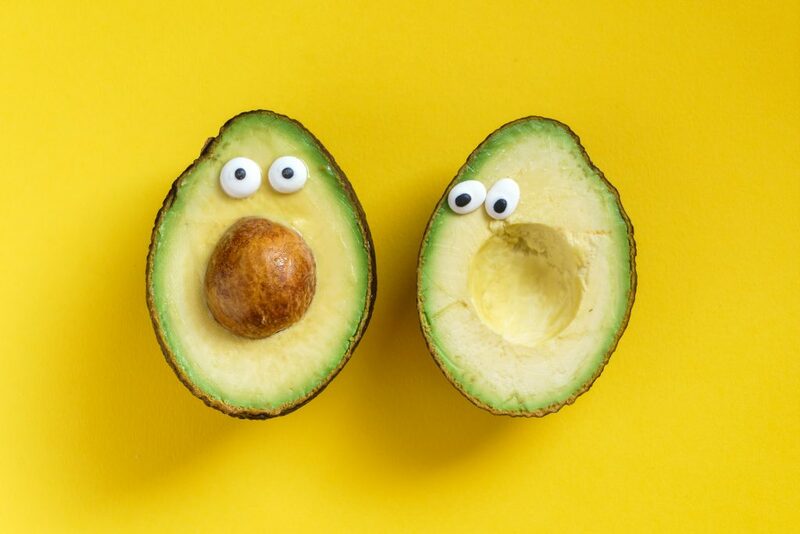 Luckily avocados (a keto food favorite) are one the best fruits you can eat on the keto diet. And while you may want to stay away from high-carb fruits like bananas and grapes, you can still keep many fruits on your keto food shopping list like berries and cantaloupe. Your weekly keto diet food list should also contain plenty of vegetables, as these are paramount to a healthy keto diet. However, it’s important to choose your vegetables for keto wisely, as many are high in sugar. The best vegetables for a well-balanced keto diet are the ones that are nutrient rich and low in carbs. If you’re a dairy lover, you’re in luck, as most of it other than milk is OK for the keto diet. But instead of buying the low-fat options, buy the full-fat versions. Cheese also plays a huge role in the keto diet, and while your soft cheeses are delicious, it’s the harder varieties that contain fewer carbs. Cheeses – hard, soft, cottage – they’re all good! When it comes to beverages and the ketogenic diet, the trick is to keep it simple. Drinking water on the keto diet is more important than ever, as low-carb high-fat diets have the tendency to dehydrate. Drinking plenty of water also aids weight loss (if this is your reason for following keto). Black coffee and tea are also excellent stimulants and help with the weight-loss process. Some people even like to ramp it up with their coffee and make Bullet-proof coffee (BPC), which is essentially black coffee blended with butter and MCT oil. Unlike most other diets, some alcohol is permitted on the keto diet. Opt for clear hard liquors mixed with diet soda or tonic, and if you’re a wine lover, be sure to check the wine’s carb content first, as some have considerably more carbs than others. While “cheating” is okay once you’re keto-adapted, we highly discourage cheating on a regular basis or allocating yourself a “cheat day”. If you’re not fat-adapted eating foods high in fat will simply create more fat. Generally speaking, the food that you want to add to your keto diet food list is ‘real’ food that is also low in carbs. Make sure you learn to read the nutritional labels to assess whether a food is really a healthy choice for the keto diet or not, and enjoy the variety that this low-carb high-fat diet offers.